Beautiful Stadium, built into the hills. Newly paved parking, recently added field house. 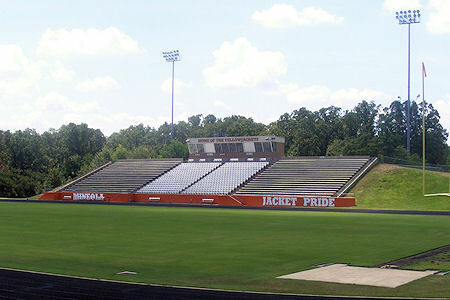 This stadium competes as one of the nicest stadiums in East Texas. The Mineola Yellow Jackets were the 2014-2015 state finalist.